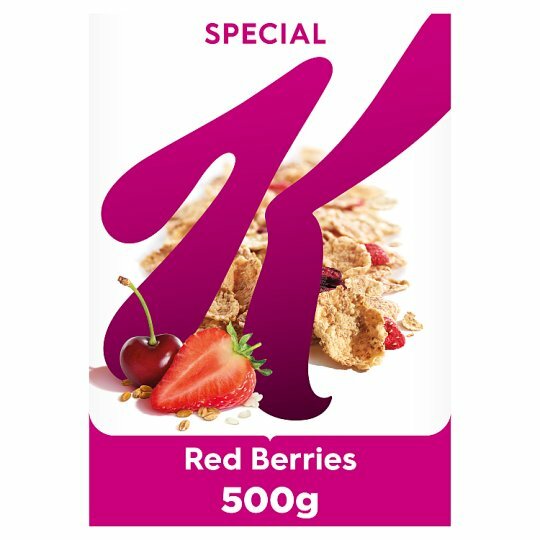 Special K Red Berries is a delicious combination of cherries, raspberries & strawberries mixed with crunchy rice, whole wheat and barley flakes. A nutritious cereal with fibre and wholegrain and 9 key vitamins and minerals. Feed your strength with Special K, a nutritious and delicious start to your day*.